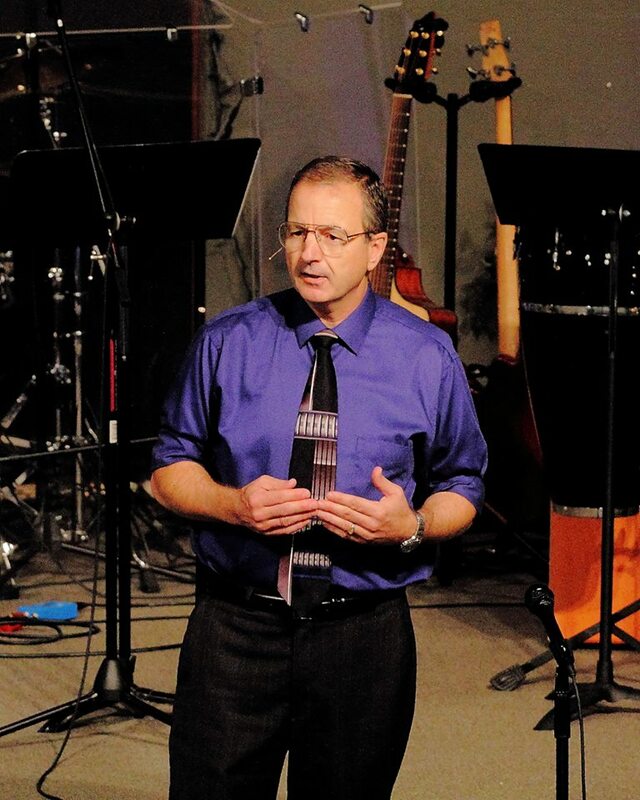 Pastor Mike Barnard moved to Oregon from the San Francisco Bay Area in 1996. Mike has served as pastor/teacher of Shoreline Community Church since its inception in November 2006. Before becoming pastor of Shoreline, he served 10 years as Pastor of Christian Education in a large non-denominational church overseeing both Children and Adult Ministries. Mike is a graduate of Chabot College in Hayward, CA; the Liberty Home Bible Institute in Lynchburg, Va; and the Moody Bible Institute in Chicago, Ill; he has served in full-time ministry as a pastor for over 22 years, serving in only two churches during that time. Before entering full-time ministry, Mike served on the Awana Advisory Board for Northern California and later North Central California. In 1995 he and his wife Cheryl became Awana Missionary Appointees before entering full-time ministry as a pastor in 1996. Starting when his children were young, Mike has served in various capacities in the Awana ministry for over 35 years now. He is also one of the few people in America to be designated Auxiliary Clergy Support (ACS) by the United States Coast Guard and services 7 of the 10 Coast Guard stations located in Sector North Bend. Mike is a people person who loves the Lord and the expository teaching of God’s Word. He is an avid reader and enjoys all kinds of sports. Mike and his wife Cheryl have been married for over 42 years and have three grown children; the couple loves living on the Oregon coast. You can reach Mike at pastor_mbarnard@hotmail.com. Shay Spencer is a native of Pea Ridge, Arkansas, and has been married to his wife Kriss Spencer for more than 25 years. They have two children: daughter Mati Corbett who lives with her husband, Dylan Corbett in Conway Arkansas and son Kade Spencer. Shay began his ministry as a worship leader more than 20 years ago. Since then, he has served churches in both Bentonville Arkansas and Pea Ridge Arkansas as youth pastor, worship pastor, & Bible teacher. Jessie is a 2011 graduate of Liberty University in Lynchburg, VA. She has served in various leadership roles in Children’s Ministry, Awana and in Student Ministry for over a decade now. During her four years at Liberty, Jessie served in Student Ministries at the 20,000-member Thomas Road Baptist Church. Jessie’s years of ministry experience have uniquely prepared her for directing our Shoreline Community Church Children and Student Ministries today. Jessie also serves as volunteer Chaplain to the North Bend Police Department. Jessie loves her kids, is a huge Green Bay Packer fan and finds great pleasure in discipling young people to a greater relationship with Jesus Christ! Jessie has served on Shoreline’s staff since 2012. Phil retired as a professional musician, but never retired from playing and teaching music for the Lord. For over 30 years he toured, recorded, produced and played professionally. From 1991 to 1996, Phil was the General Manager of Café Records based in Medford, Oregon until he entered full-time ministry as one of the founding pastors of Table Rock Fellowship in Medford in 1997. During this time, he was appointed Administrative Pastor while continuing his music worship ministry. The Lord later moved Phil to the Coos Bay area where he again assumed the task of Administrative Pastor at a local area church and later as a Senior Pastor. Through it all, Phil never ceased worshiping God through music. In the midst of Phil scheduling worship teams, teaching students, and a score of other tasks he gladly fulfills, you can find him loving God and His people. It is not unusual to see Phil with his arm around someone in prayer and fellowship with all sincerity of encouragement. You can also find Phil talking about his son Will, a U.S. Army soldier stationed in Miami, Florida, or going camping, hiking, fishing and the like with his twelve year old son Max. Although Phil has been on staff since 2017, he has been involved in the music ministry here at Shoreline since 2012 and serves as a youth leader as well. My wife and I listen to your sermons Sunday mornings on 98.70 and have been listening since the first time a couple months ago. We believe they are awesome, real and down to earth. You talk about topics that most other churches are afraid to tackle. Thanks for talking about the real Heaven and Hell without any sugar-coating. Let’ s bring the true Word of God, like you do, back into our churches. God Bless and keep up the good work as we live our lives for and with the Lord. Thank you so much for your kind words Morgan and Tami, keep pressing on for Jesus!